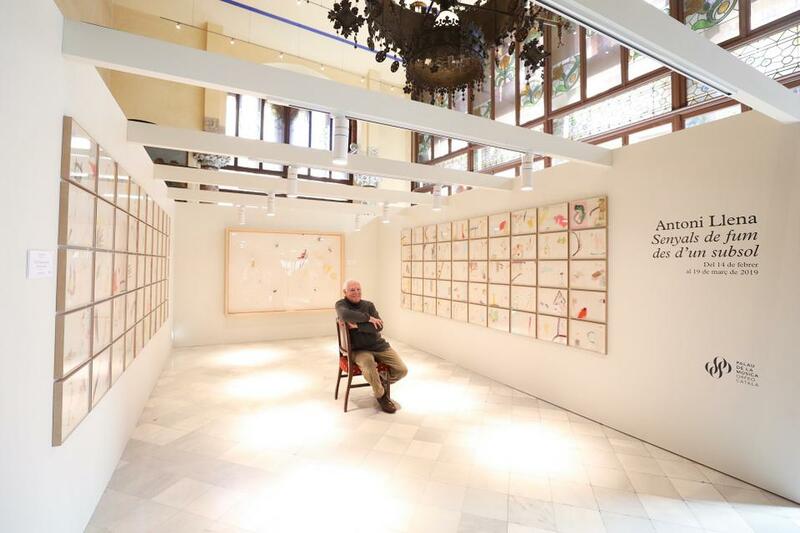 Today was the opening day of the exhibition Smoke Signals From Underground (Senyals de fum des d’un subsol) by visual artist, sculptor and engraver Antoni Llena (Barcelona, 1942), the Palau de la Música Catalana’s guest visual artist for the 2018-2019 season. The exhibition will be on display at the Palau de la Música Catalan until 19 March. Some of the drawings can be visited for free on one of the balconies of the Palau de la Música Catalana Foyer (between 10 am and 11 pm). 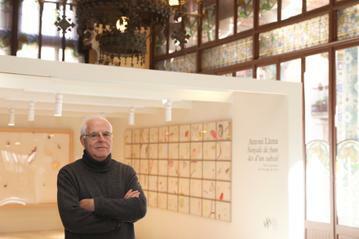 The rest of the exhibition, which includes over a hundred unpublished drawings by Llena corresponding to two series from the collection SOS: Smoke Signals From Underground as well as a sculpture from the Velletque videre series (2000), is located in the Lluís Millet Hall and can be visited free of charge with a concert ticket or guided tour ticket. Antoni Llena’s creations are real architectural pieces on paper, with impossible balances and that refer us to a work with materials that are primary and simple, but have an inescapable spiritual dimension. His works have an intensity and an emotive capacity all of their own. In addition, Antoni Llena will lead a workshop for children (ages 4 and up) and adults (24 February, 10 am and 12:30 pm), as part of the Family Concert at the Palau season activities. During this event, participants will walk through the Palau, accompanied by the artist, to get a close-up look at the building’s textures (ceramics, glass, wood and iron). The activity will finish off with all participants drawing their own impression of the Palau on the Concert Hall stage itself. 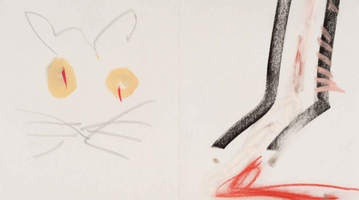 This is a workshop that pushes you to imagine a new Palau, seeing it with new eyes, where everything has value: a stroke, grattage, a sketch, a tracing, a shape, a portrait or a magma of colour.